My wife and I were on holiday and found that the boots I purchased online from Shoe Zone as a Christmas present had split so we set out to get some replacement as the weather was bad and the sole split meant that she had wet feet. 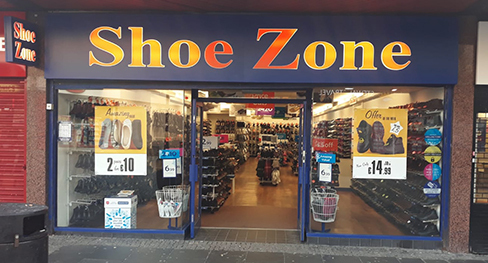 Whilst in Kilmarnock we spotted a Shoe Zone and went in to get the new boots. We had chosen some boots and I asked a question to the store assistant about the returning of an online Item that was faulty. I had the email receipt on my phone and the assistant said we can swap them now. We paid the difference and we went on our way contented. The service we received was excellent. but the quality of the Chelsea Boot on the 17th Dec was poor. it had only been worn since Christmas Day and by the 30th Jan had split. Too cramped to be able to comfortably view range or try on stock. There is nothing to beat service with a smile and when you kind of feel that you are intruding then you feel that you have not been given the kind of service that you really want.